Tabitha is my name, and makeup is my game. Well, not really, but I can tell you that I have a lot of it! 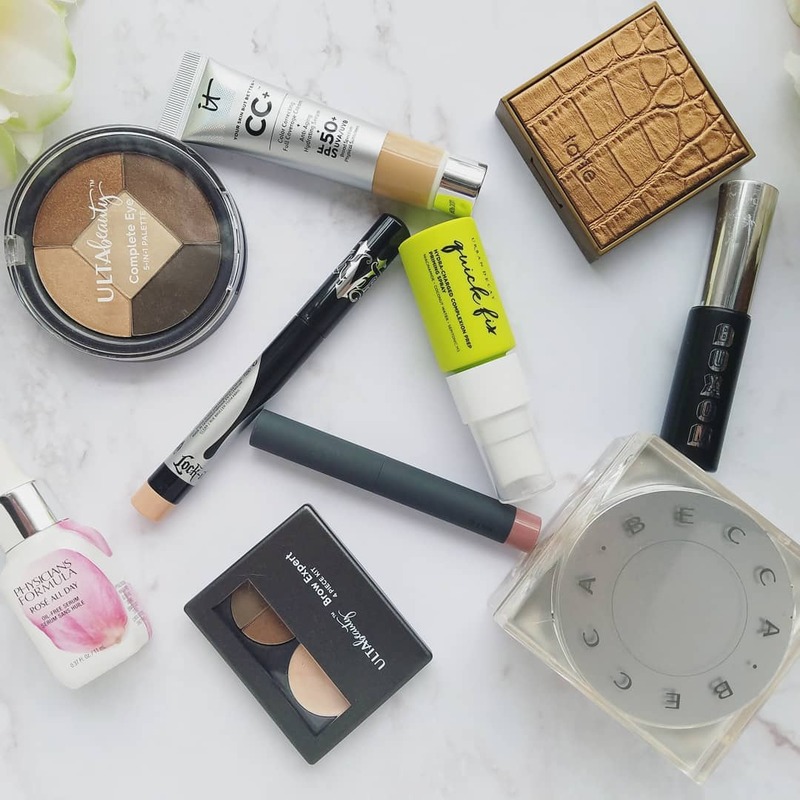 I am always trying out the new products at Sephora, Ulta, and drugstores to see which products are worth it; and I have fallen in love with so many products. 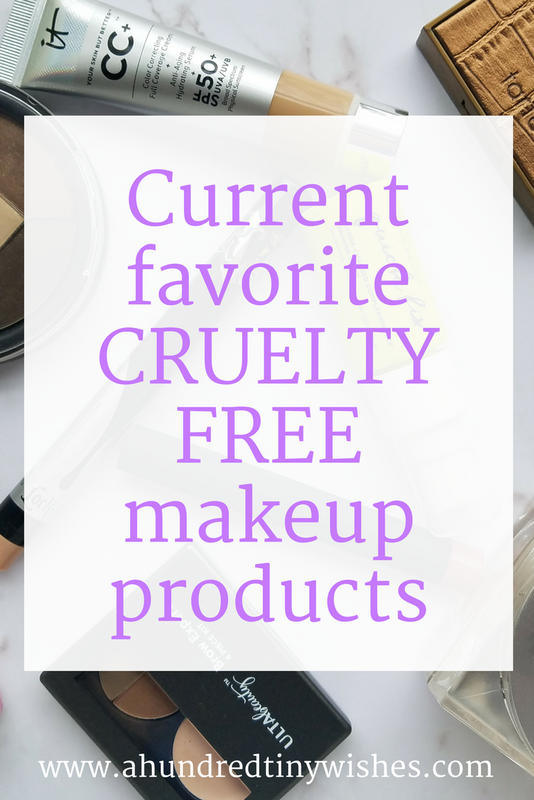 Currently I have ten products that are constantly on repeat AND BONUS: they are all cruelty-free! Physicians Formula Rose All Day Oil-Free Serum. First of all, the Rose All Day serum smells so beautiful. I love that it helps with anti-aging, has vitamin c, and gives a pretty glow. Urban Decay Quick Fix Hydra-Charged Complexion Prep Priming Spray. This priming spray smells absolutely amazing! It's great for refreshing your skin before or after makeup, aids in hydration, and is jam packed with skin loving ingredients. Tarte Cosmetics Amazonian Clay Bronzer in Park Ave Princess. To be honest, I was never a fan of blush or bronzer, but once I tried the Tarte bronzer, I was hooked. I love how the Park Ave Princess gives me a nice healthy matte glow and doesn't make me look like I just stepped out of a tanning bed. Becca Soft Light Blurring Setting Powder in Golden Hour. If I had to choose one makeup product to use for the rest of my life, the Blurring Powder would be the product. I love how it blurs my pores, makes my skin look like I am wearing a Snapchat filter, and feels so light. Bite Beauty Matte Creme Lip Crayon in Glace. I've never been a lipstick gal, so lip crayons are my favorite; especially the ones by Bite. I really love the Glace color- it's a dusty rose color that looks great on any skin tone. It Cosmetics CC Cream in Light. I am a big fan of CC cream because I don't really like foundation. The It Cosmetics CC Cream gives my face a beautiful finish, hydration, and of course, some much needed SPF. Ulta Brow Expert Powder in Light. When it comes to brows, I am a beginner. I have yet to figure out how to define and fill in my brows so they look fierce. I love the Brow Expert Powder because it is pretty much fool-proof. I use the lightest shade to fill in my brows and I love how the formula "attaches" to my hairs. Ulta Complete eye 5-in-1 palette in Trance. When it comes to eyeshadow, I have WAY TOO MANY of them. The one thing that I love about Ulta's 5-in-1 palette is the fact that it is so compact, portable, and all the colors go together to create a perfect eye. Kat Von D Lock-it CC eye shadow primer. I have tried a lot of eye shadow primers, and I can say that the Lock-it is one of my top tree favorites. Not only does it give my eye lids some color, but it gives my eye shadow an extra boost of color. Buxom Lash Mascara. Mascara is my thing- I have tried so many of them. I really love the Buxom Lash because it doesn't clump, the brush separates and coats my lashes, and gives my lashes volume. What are your current favorite makeup products? Have you ever tried any of mine? What did you think?